Rajan, a Post Graduate from Mumbai University and has extensive experience in varied fields such as IT, Aviation, Travel & Tourism Training for over 28 years. He had been a member of Syllabus Committee for Travel & Tourism at Pune University and also a member of HR committee of Travel Agents Association of India (TAAI). 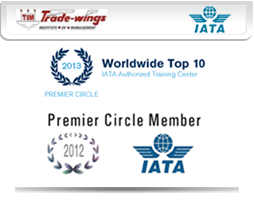 Rajan has been managing Trade-wings Institute of Management, a top 10 Worldwide IATA ATC, since 1997. Onlinetraveledu was his concept on which he started taking shape since 2009 and with his vision, the portal is offering over 70+ e-learning courses in varied fields in the domains of Aviation, Travel, Tourism, Hospitality & Logistics. His mission is to bring in education & training to the doorsteps / fingertips of the students at an affordable fee. Kalpana, A graduate from Delhi University has more than 3 decades of experience in the Travel & Tourism Industry and worked in various organizations like Travel Corporation of India (TCI), STIC Travels and also managed her own IATA Accredited Travel Agency. She has been instrumental in setting up the online training portal with a wide variety of courses including developing the web content. She is also responsible to get content partnerships with various organizations. 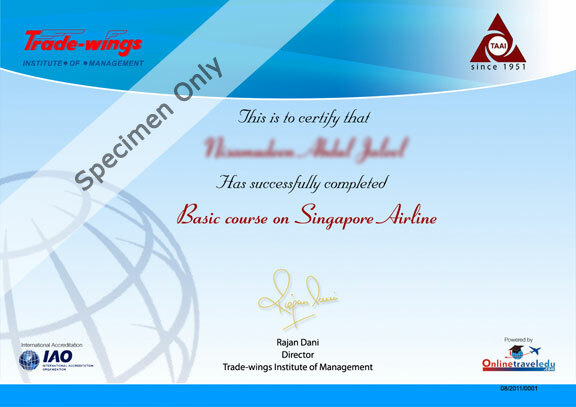 Currently she is working on bringing in new courses relevant to the current market. Vickrant, a young, enthusiastic professional from Media development, brings his great ideas which are backed by his industry experience in different media. He has been instrumental in getting newer ideas in the form of audio, video and animation technology. Ameya, an IT professional, has been a backbone of Onlinetraveledu.com portal ever since its inception. An expert in different IT domains, he works tirelessly to ensure the proper delivery of various courses and manages the back end of the portal. Person is an enthusiastic graduate in Mass Media, specialized in Advertising and marketing with flair of IT has been looking after online marketing of the portal since its inception. person's strong will to reach the masses has created over 10000 registered users for the portal. Person, is a commerce graduate who prefers to work from behind the scene. Person is a dedicated worker and works tirelessly to provide administrative support and co-ordination to the enrolled students.